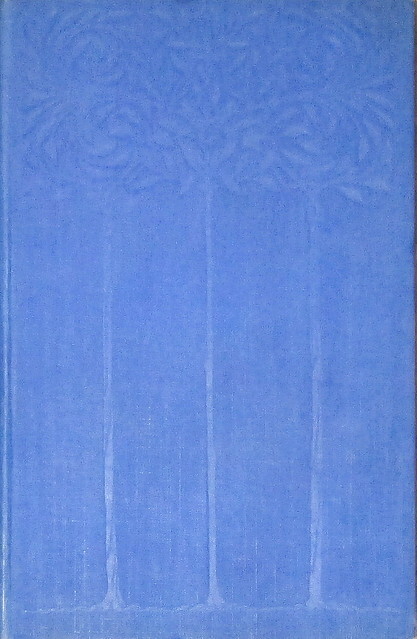 Freckles by Gene Stratton-Porter was first published in 1915. I knew that bloggers that I read had enjoyed this book so when I saw it in a second-hand bookshop for all of £1 I snapped it up. 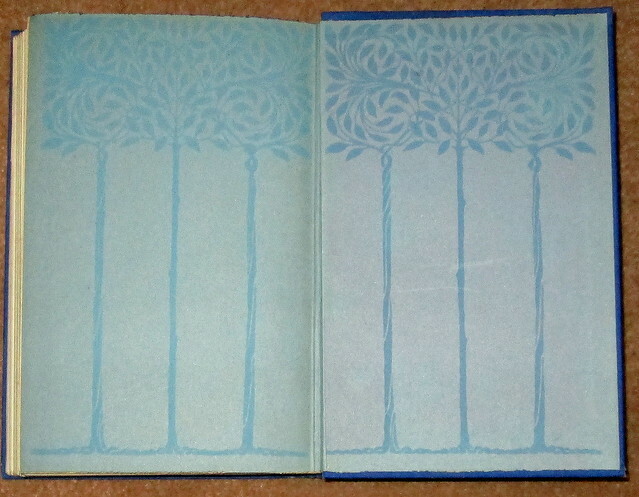 I might have bought it anyway whatever it was because the book is lovely with really stylish endpapers. Freckles is a young boy who has had a very rough deal in life, he has been brought up in a ‘Home’ as he is an orphan, has no idea who his parents were and has suffered from emotional neglect, and he only has one hand. He also has red hair. It’s a bit of a fairy tale really because after a lot of grief things do work out for Freckles. Despite his rough upbringing he’s a solid, dependable and honest lad who is enthralled by the wonderful wildlife that inhabits the Limberlost swamplands of Indiana. This book is the first in a series set in the Limberlost area and some of the books have been made into films. Gene Stratton-Porter was a woman who was several generations ahead of her time. The natural environment was obviously dear to her heart. She lived in the Limberlost area of Indiana and at the beginning of the 20th century it was being drained and logged with the consequent loss of the wildlife that had inhabited it. I believe the land was wanted for farming as that would have made money, it sounds like it was a similar situation to what has been happening in the tropical rainforests more recently. From what I can gather though there have been some recent attempts to reverse the damage and return the land to swampland again. I certainly hope so. Here’s what those endpapers look like. This entry was posted in Books and tagged Freckles, Gene Stratton-Porter, Limberlost by Katrina. Bookmark the permalink. I have a copy of this somewhere in my attic. I bought it at a secondhand bookstore when I was a kid. It was read over and over for a while in the way children do when a book catches their interest. I haven’t read it in too many years to count. I’ll have to brave the attic book stacks and see if I can find it. I wonder if you would still enjoy it as an adult. Attic book stacks sound interesting! Well, that makes them sound much more organized than they actually are. Attic clutter would be more accurate. My spring project is to organize it all. We will see how far I get. We used to have attics like that but when we moved here we swore we would put nothing into the loft area, and we haven’t – just don’t look inside the garage! It’s an old fashioned tale I suppose but it’s interesting to know that someone all those years ago knew that it wasn’t a good thing to only think of the commercial possibilities of land.